This post was sponsored by Blue Diamond® Nut-Thins and all opinions expressed in my post are my own. 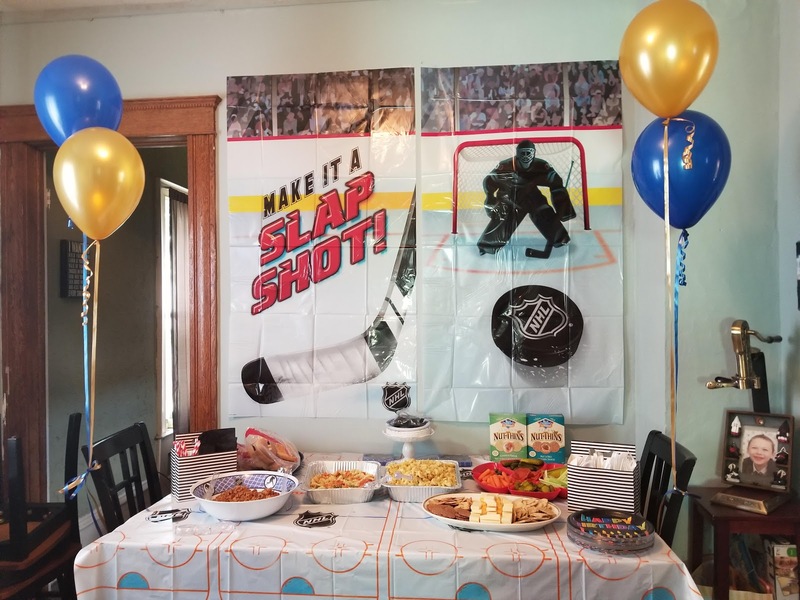 So much preparation went into my son's 9th birthday! Every year, I go all out and craft decorations, invites, you name it, for his special day. Over the years the stress of it all has subsided and I now look forward to this time of year. After doing so many parties you get an idea of what to expect and things just fall together. I find myself enjoying the creative things we come up with year after year. For some of you, the idea, of an elaborate party might not be your forte. I understand completely! It is a lot of work on top of our busy schedules (believe me I get it). Let me give you some tips along the way as I share this year's theme with you: Hockey. We have also done a Viking theme, Harry Potter, The Circus and a Pirate Theme Party. First up let's talk foods. My son has a sugar digestion problem. He has had it ever since he was one and a half years old. Because of this, you will find me in the kitchen making most of or meals from scratch. When it is time for parties I like to find good nutritional snacks/finger foods that everyone will enjoy! These Blue Diamond® Nut-Thins have been a lifesaver for entertaining guests this Summer! You can purchase them in a wide variety of stores: Kroger, Safeway, or Target just to name a few! The kids love them because they come in so many flavors!! I personally love them because they are wheat, have no artificial flavors and are gluten free!! The Country Ranch flavor is my favorite....just put some EXTRA sharp cheese on one and I am good to go! If you are planning to entertain with these delicious snacks make sure to enter their sweepstakes!! The Blue Diamond® Nut-Thins are giving away $3,000 in prizes! It's called the: "Nut-Thins 2 Win Scavenger Hunt". 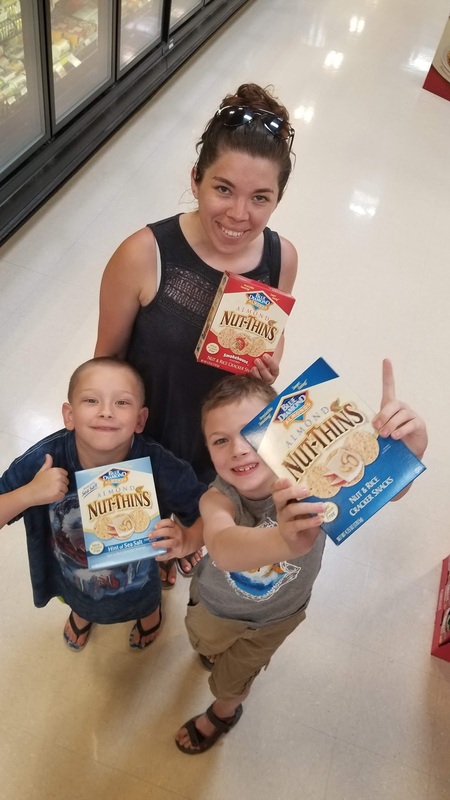 Just find Nut-Thins in ANY grocery store, take a selfie with the product on the shelf, and post it on your public Instagram or Twitter account using the hashtag #NutThinsContest OR upload it here. 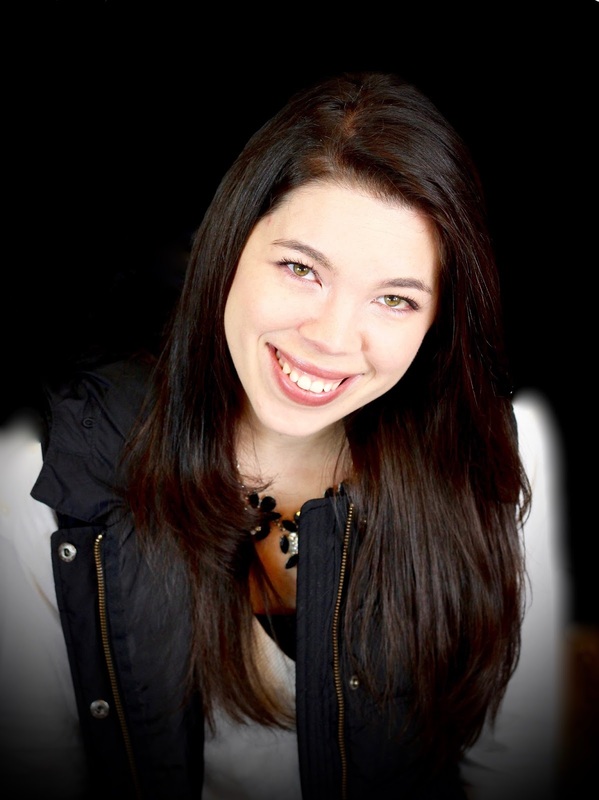 You could WIN prizes like a $1,000 gift card just for taking a photo!! If you were to stop by my birthday party table spread the Blue Diamond® Nut-Thins simply fit right in! My next tip would be just place food in to-go containers. After you have lots of people over the last thing you want to do is dishes. I also save time and energy by putting things in Tupperware containers. Have designated areas for things. I always have a gift/card table and coat rack right when people walk in. This eliminates people carrying a bunch of things when they are excited for the party. I also keep the food in a separate area (this year we had food in the house). This prevents food everywhere and I can contain the mess even if we have littler guests. Put out kid related toys. I just went to the dollar tree and bought a bunch of different items. We always give a treat bag as guests leave the party. These toys are more for down time. When I am setting up the pinata, food or gifts for him to open. Have a pinata. I know it sounds cliche but so many people have stopped doing this. Again, because of my son's dietary needs we cannot fill it with candy so we opt for small toys instead. I love putting small bouncy balls in it for example. When it opens they bounce around everywhere; kids like that sort of fun! Try to encourage a place to take photos. Often times we have a party and I forget to take pictures. I love looking back on them so with these "stations" I remind myself to take photos!! If companies like Blue Diamond®, reward you for taking selfies, with sweepstakes, it's time to break out your phones and snap away! 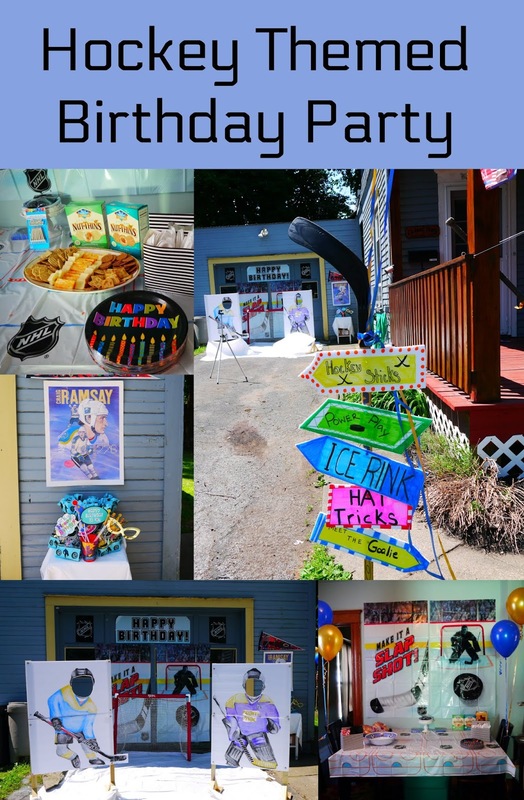 Do you have a Party tip I did not mention, share below? 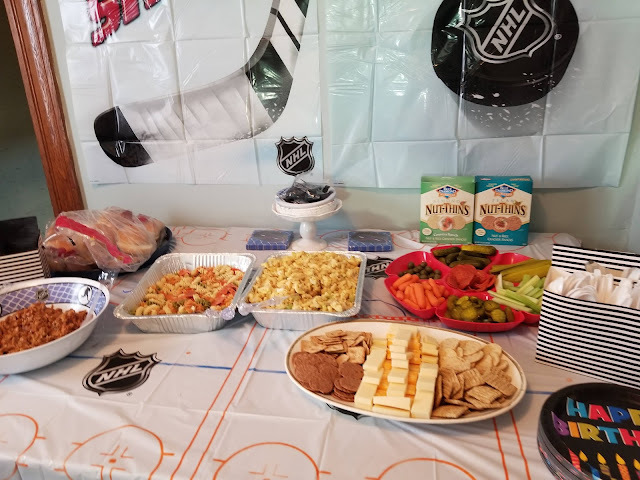 What is your favorite Party snack? ?